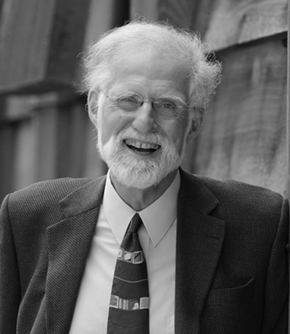 Dr. Michael McDonald was the founding Director of the W. Maurice Young Centre for Applied Ethics at the University of British Columbia and occupied the first endowed chair in applied ethics in Canada. From 1969 to 1990, Dr. McDonald taught ethics at the University of Waterloo. Dr. McDonald received a Lifetime Achievement Award from the Canadian Bioethics Society in 2009 and was awarded honorary professional designation by the Certified General Accounts Association of Canada in 2006 for his extensive work in accounting ethics education. Dr. McDonald played a leading role in applied ethics and more particularly in research ethics. He served as the Deputy Chair of the Tri-Council Working Group that created the first version of the Tri-Council Policy Statement: Ethical Conduct for Research Involving Humans and led the group that wrote the report The Governance of Health Research Involving Human Subjects (2000) commissioned by the Law Commission of Canada. Dr. McDonald is the author of numerous publications and held several grants on human research protection. His most recent work has centred on the experiences of research participants and providing participants with strong evidence-based protection. He has been very active in research ethics education and was the Director of the joint UBC and Dalhousie University doctoral and post-doctoral CIHR Strategic Initiative in Health Research Training Program. Dr. McDonald has also been involved in the protection of animals in research including extensive service with the Canadian Council on Animal Care. He was also instrumental in the creation of the internationally renowned Program in Animal Welfare at UBC.